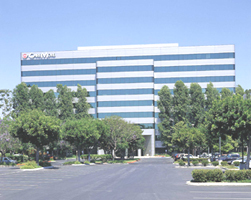 This Todd Olivas & Associates conference suite is located in Cerritos Corporate Plaza allowing each access to the Riverside (91) and San Gabriel (605) freeways . Located Next to Los Cerritos Shopping Mall with Nordstrom, Macy’s, Robinsons May and Sears. One Block North of the Cerritos Auto Mall. Convenient to Restaurants and Banking. Mountain Views. A friendly, highly trained staff is on hand to provide a multitude of deposition support services on an as-needed basis.